It's November 30th and time for the Just Imagine Craft/Kreaxions Design Team Reveal. This month we want to welcome you to the Just Imagine/Kreaxions Blog Hop. So glad you could join us! We’ve kept it short and sweet so hop along to each blog, leaving a comment along the way. One participant will be chosen from the comments for a $10 Just Imagine Crafts gift card. The designers have tips, tutorials, and/or prizes so don’t miss out! from December 1st through December 14th. If you leave a comment on my blog your name will be entered into a random draw for a RAK from me. I'll be sending one lucky participant a Kreaxions Circle Cutter. I completed this layout for Vincent's album using a challenge from Creative Inspiration, the November 8th TTT. The challenge was to create a project and use layering. 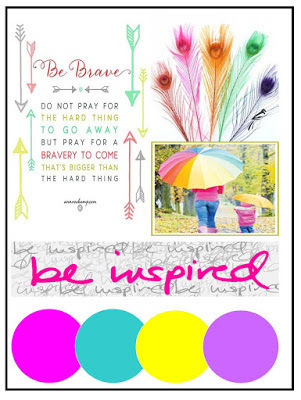 and be inspired by the FUN challenges this month. I'm up on the Off The Rails Scrapbooking blog today, sharing a tutorial. Modeling Paste: A matte, opaque mixture of marble dust and polymer emulsion that is used to build heavy textures and three-dimensional forms on flexible or rigid supports. Modeling Paste is a staple in my arsenal of scrapbooking supplies. I love using Modeling Paste along with a stencil to add texture to my pages. I was sure that the use of this product could be expanded upon and that there were other creative possibilities waiting out there to be discovered. What about using Modeling Paste to create custom embellishments?! 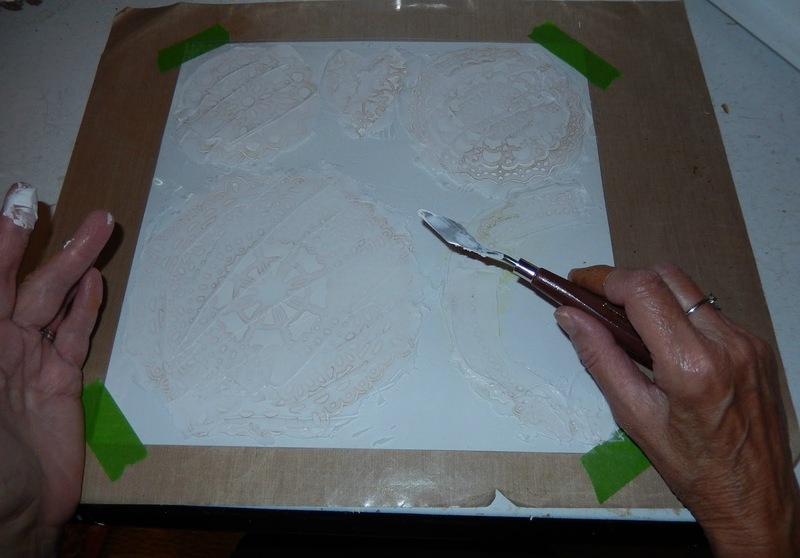 1) I taped the white cardstock and the doily stencil to my craft mat. I'm up at Creative Inspiration for the Saturday All Sorts Challenge. Think about it ... scrapbooking is “SCRAP”booking. This means it's a great way for you to use up your extra paper scraps, and that was my inspiration for today’s layout. I saved all those strips of paper I trimmed off for other projects and used them as a fun accent on this layout. My challenge to you is to create a layout or card and use up some of your paper scraps. You have till the end of the month to play along. Be sure to check out the Creative Inspiration board for more challenges and some great inspiration from the Design Team. 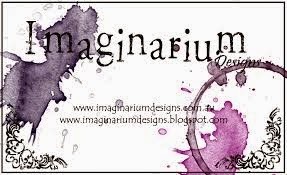 Today I'm also sharing a card on the Just Imagine Crafts / KreaxionsPunches Blog. Is it ever to early to start making your Christmas cards? For as many as I have to make I'm thinking I should have started months ago. This card was easy to make because I used the Kreaxions Circle Cutter. I created the Christmas wreath by cutting 1 1/2 inch and 1/2 inch circles. Adding a banner, a little seam binding and some jingle bells finished it off. 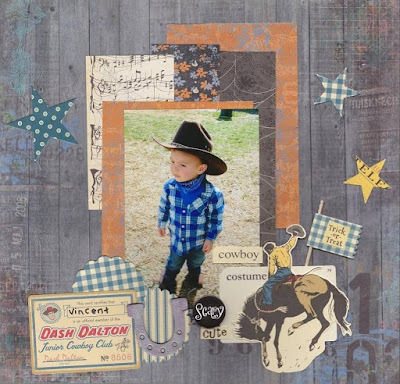 There's a new mood board challenge up at Off The Rails Scrapbooking. That also means there is a Design Team Reveal. ... then be sure to check out the blog. a friend's little girl that fit the bill for this challenge. decided to weave the fabric together to make my background. of elimination I started selecting my embellishments. I'm always amazed at what I find in my stash.